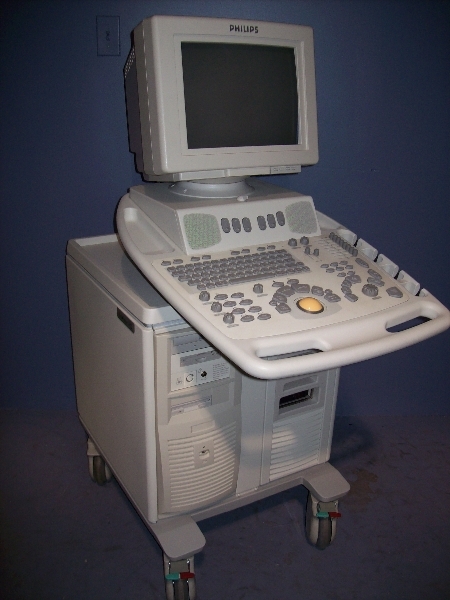 The Philips Envisor C ultrasound system is a prominent machine used in many clinical environments around the world. With forward-thinking ergonomics for user comfort and safety as well as superb image quality and consistency, this Philips ultrasound aims to improve your facility’s imaging offerings while providing patients with a superb standard of care. To provide highly detailed, enhanced quality images, the Philips Envisor C includes Color Doppler, CW Doppler, Cardiac Calculations, OB/Gyn Calculations, Panoramic Imaging (Siescape), PW Doppler, Stress Echo, Tissue Harmonics Imaging (THI/NTHI), and Vascular Calculations, among others. The Philips Envisor C ultrasound’s lightweight, compact size and four-wheel swivel capability makes it ideal for portable and mobile imaging solutions as well.